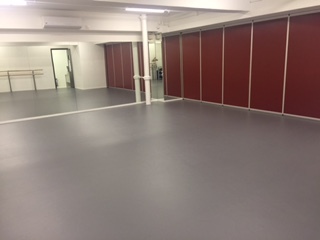 2,000sq/ft dance studio with sprung marley floor, mirrors and barres, piano, sound-proof partition, shower, toilets and changing cubicles, water, complimentary coffee/tea and Wi-Fi. Storage for yoga mats and fitness equipment. Located opposite the South Mark, just down the road from Flex Studio and One Island South. Close to the Aberdeen Tunnel. 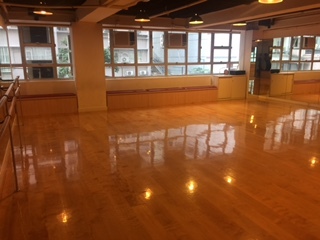 We have 4 dance studios with sprung floor, mirrors and barres, sound-proof partition, toilet/changing area, water dispenser and shower. Shelves, cupboards and seat boxes that can be used as storage for yoga mats and fitness equipment. Located just off Wyndham Street, very close to the Centrium and the Universal Trade Centre.